Papercrafts by Patti: Stampin' Up! Announces Retired Stamp List!! Stampin' Up! Announces Retired Stamp List!! Over 300 stamp sets will be retiring. Don't forget to add your favorite Clearance Rack Items to your order! 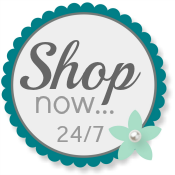 Shop With Me any time! Thank you everyone who checked out our Pals Blog Hop this week and left such sweet comments! I appreciate your feedback.